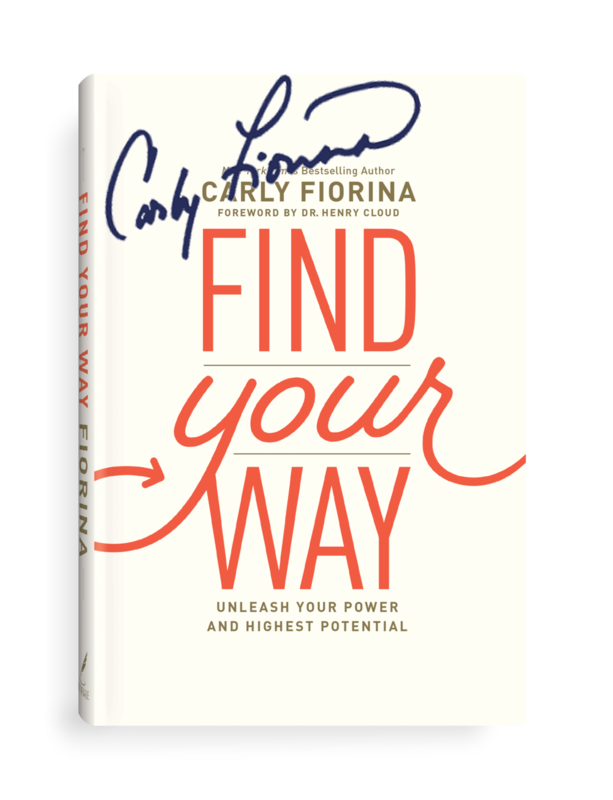 Carly is signing a limited number of books. It’s a great gift for new graduates, Mother’s Day, and birthdays! At some point, virtually everyone finds themselves struggling to find their way in life. Perhaps you’re just starting out and haven’t yet found your personal or professional path. Maybe you’ve been plugging away for years, trying to live someone else’s dream. Maybe you’re outwardly successful but plagued by a nagging, soul-level sense of dissatisfaction. reclaim your power and use it for good. Carly Fiorina believes beyond a shadow of a doubt that your potential can be unleashed. In Find Your Way, she shows you the path to getting there.